1874, Australia. 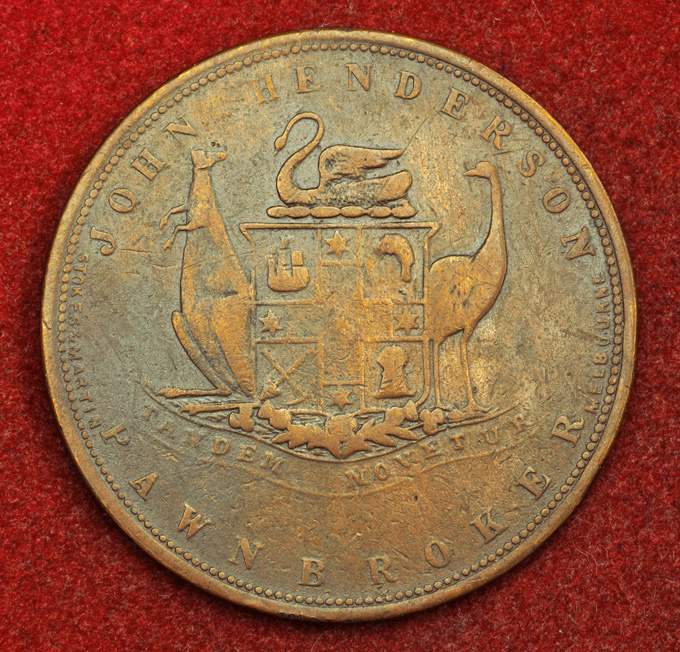 Copper "John Henderson Pawnbroker" Private Penny Token. Rare! 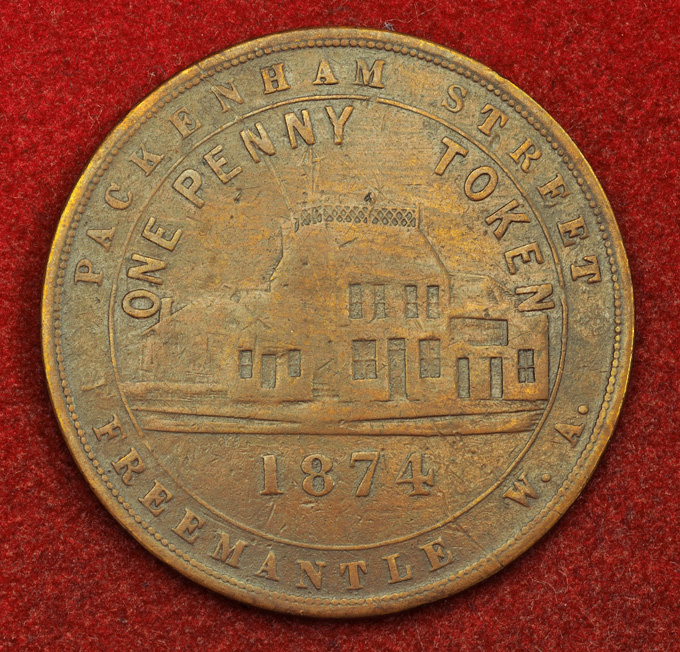 Obverse: Value (ONE PENNY TOKEN) above building. Date (1874) in lower field. Legend: PACKENHAM STREET FREEMANTLE W.A. 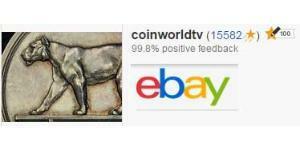 In numismatics, token coins or trade tokens are coin-like objects used instead of coins. 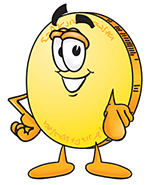 The field of token coins is part of exonumia and token coins are token money. 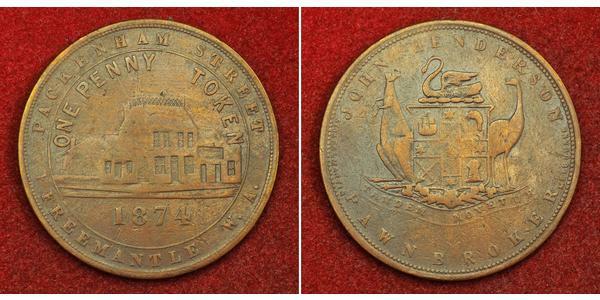 Tokens either have a denomination shown or implied by size, color or shape. "Tokens" are often made of cheaper metals: copper, pewter, aluminium, brass and tin were commonly used, while bakelite, leather, porcelain, and other less durable materials are also known. 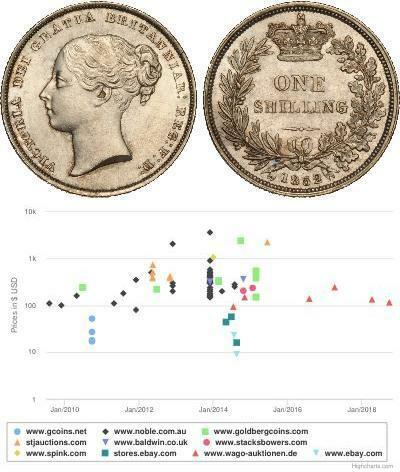 A key point of difference between a token coin and a legal tender coin is that the later is issued by a governmental authority and is freely exchangeable for goods. 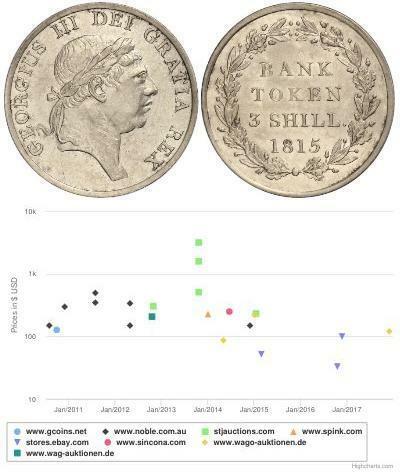 However, a token coin typically has a much more limited use and is often issued by a private company, group, association or individual. In the case of "currency tokens" issued by a company but also recognized by the state there is a convergence between tokens and currency.